Title : Ghislaine Leung, CONSTITUTION (2019). 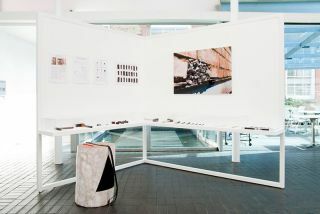 Installation view, Chisenhale Gallery, 2019. 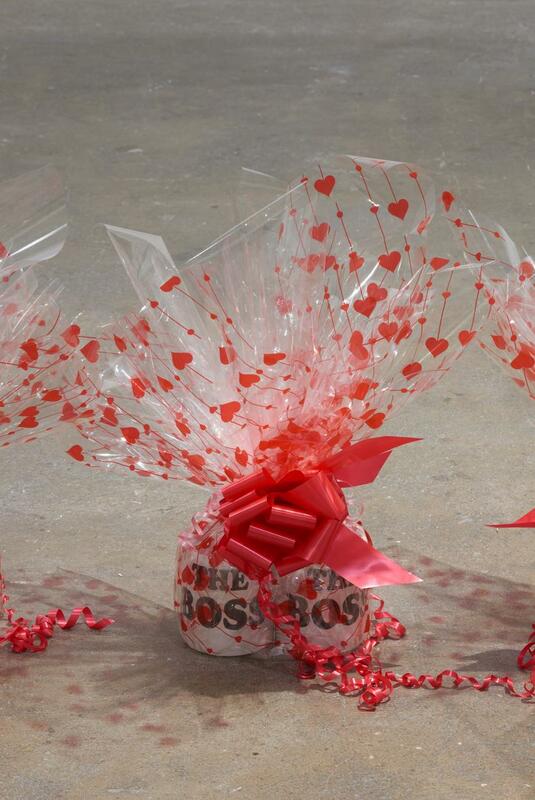 Commissioned and produced by Chisenhale Gallery, London. 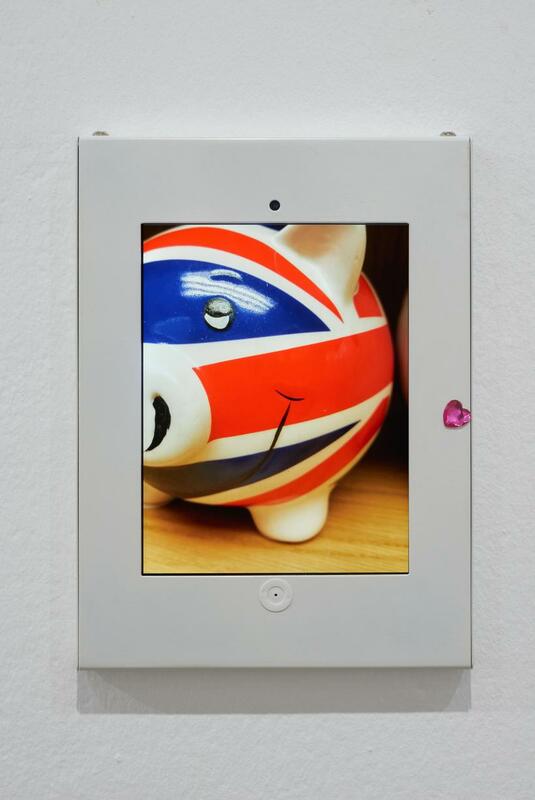 Credit : Commissioned and produced by Chisenhale Gallery, London. Courtesy of the artist. Photo: Andy Keate. 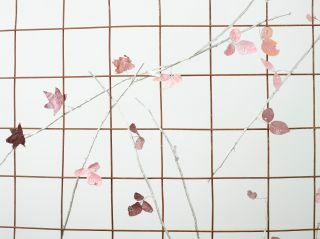 Title : Ghislaine Leung, Parents (detail) (2019). 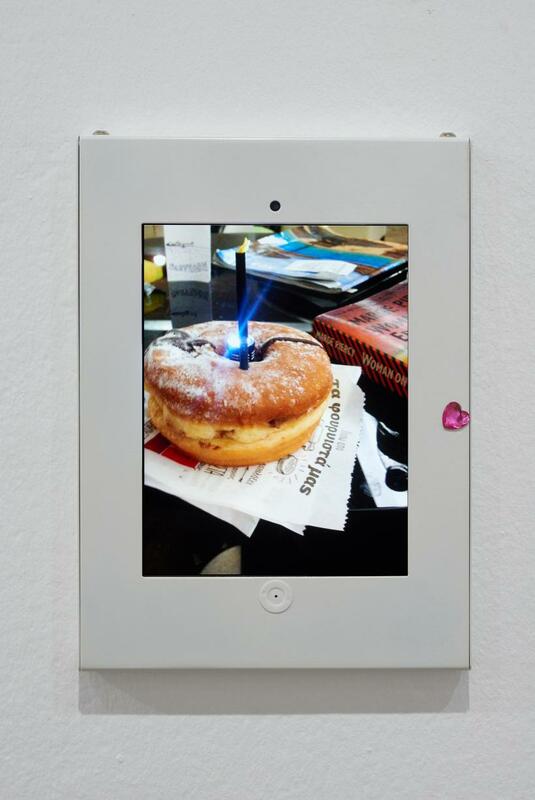 Title : Ghislaine Leung, Bosses II (2019). Title : Ghislaine Leung, Flags (2019) and Children (2019). Title : Ghislaine Leung, Loads (2019) and Flags (2019). 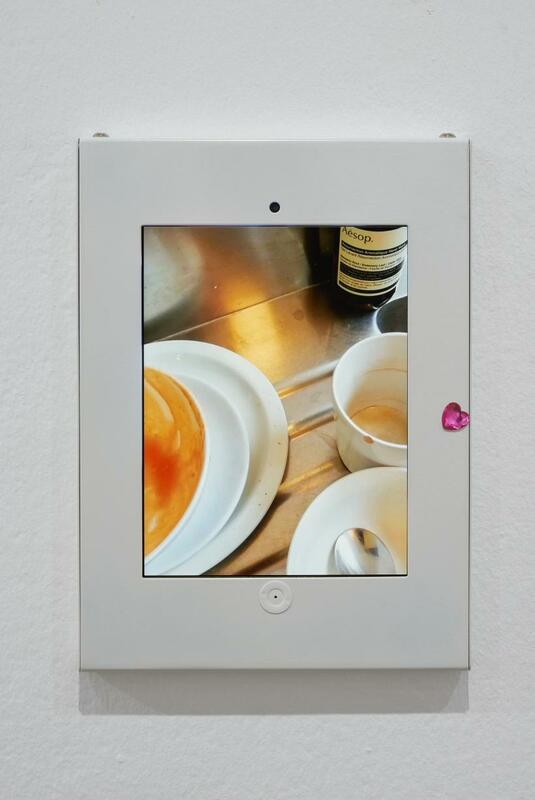 Title : Ghislaine Leung, Loads (detail) (2019). Ghislaine Leung’s exhibition at the Chisenhale Gallery evades concise summation. Description becomes easily lost in particularities, or overlooks specific works altogether. Such difficulties are embodied by the exhibition title’s double-meaning: on one hand, ‘CONSTITUTION’ describes a material body; on the other, it describes the legislation and statutes that bring that body into being. It’s both the whole, and the conditions comprising that whole. Leung proposes this idea of the ‘constitutional’ as a means to expand upon the legacy of Institutional Critique. Thinking the ‘constitutional’ can reveal the social and interpersonal relations within and beyond the body of the institution. All nine works explore these relationships through different formal configurations, raising the question: Where is a work of art? Sometimes these relationships are referenced explicitly. 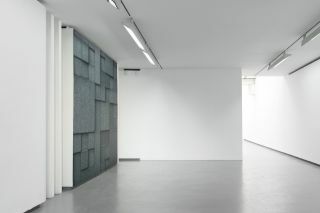 Three works parallel the gallery walls, each comprising a number of identical white powder-coated office panels, bolted to the concrete floor. In ‘Lovers’, a pair of black garden lanterns hangs from two of the three prefab panels. One lamp is motion-sensitive, the other light-sensitive: a comically incompatible relationship where both cannot glow at the same time. In contrast, a solitary panel entitled ‘Children’ struggles to self-support using a battery-powered generator. Yet this too is revealed as reliant upon its surroundings, the exposed cables snaking back to the wall sockets. Elsewhere, ‘Kiss Magic Heart’ applies active noise cancellation to recordings from three commercial radio stations. 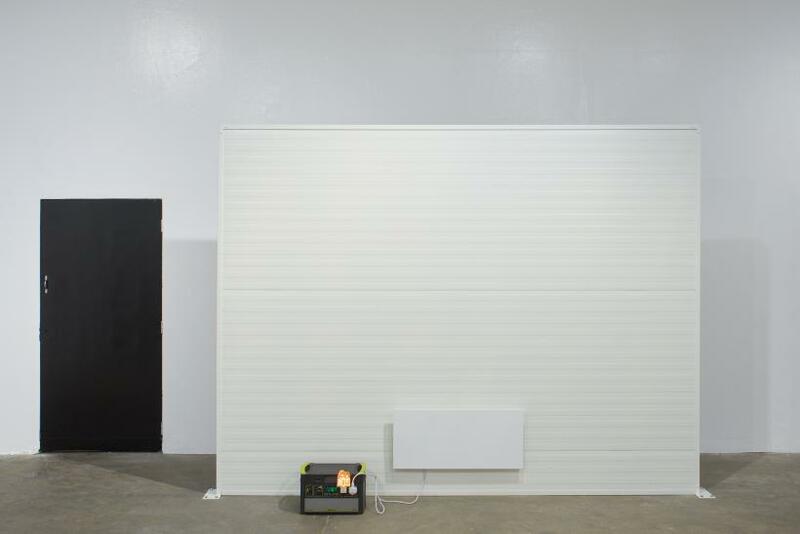 Sound from the wall-mounted speakers fluctuates and pulses – one speaker striving to negate the other – struggling to suppress the noise of the culture industry. Performing this noise cancellation in the open gallery renders the level of cancellation contingent upon the individual bodies in the room, as well as the architecture of the space itself. Other works address the architectural conventions of display more directly. In ‘Toons’, the gallery walls are painted gloss white; they stand forth, strangely hysterical, reflecting the spotlights. 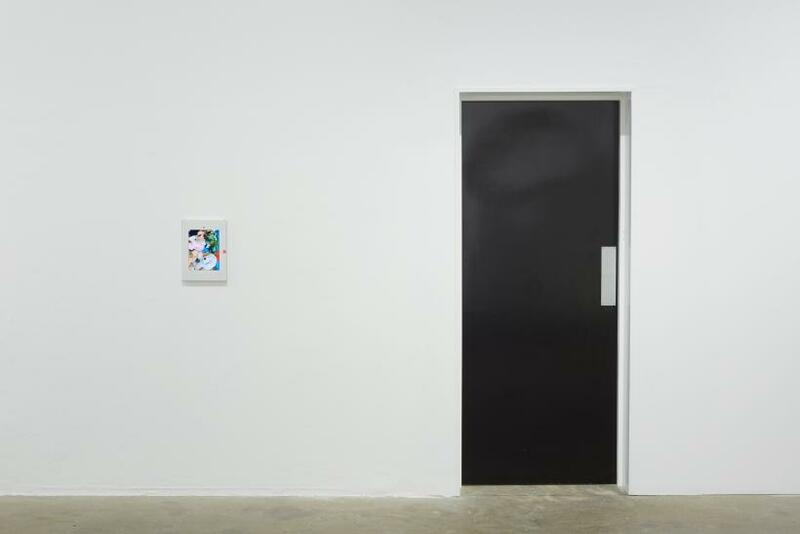 Similarly, in ‘Flags’, black gloss doors stand out starkly from the walls, while in ‘Closer’ Leung replaces the doorway to the gallery with another, modified to standardised UK measurements. If the modernist white cube aimed to sustain the illusion of the artwork as autonomous, Leung’s show accentuates these conventions of display, calling them into question. At first glance, these architectural modifications carry echoes of Michael Asher’s iconic works of the 1960s and 1970s. However, while the works-list details the usual dimensions and material specifications, it explicitly denies that the physical materials visible in the gallery are in fact the work. Instead, the artwork assimilates the formal qualities of the constitutional, distributed between its statutory and its material realisations. It’s easy to imagine different iterations of the same works: different gallery doorways, bearing different dimensions in different countries. 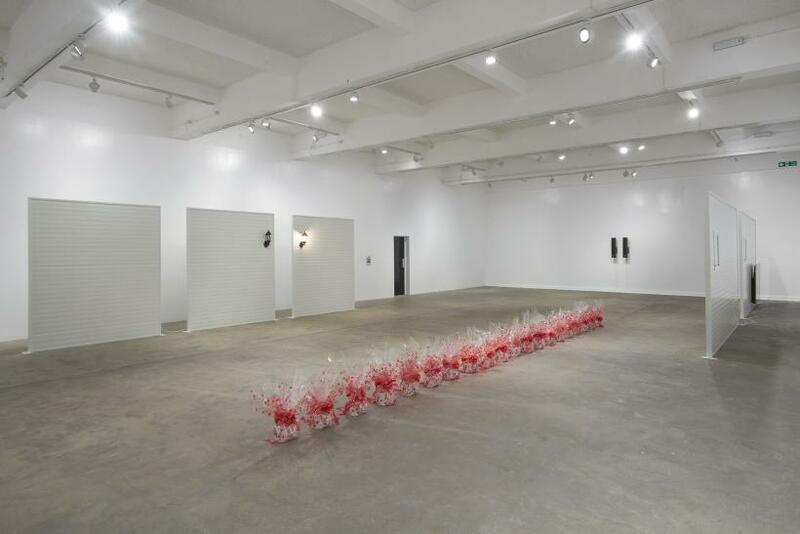 On one level, this dematerialisation reveals Leung’s works as critically contingent upon the confines of the art institution and the nation state. On another, both the state and the artwork become deftly exposed as constitutional bodies: bodies whose entrances and exits, and whose borders and boundaries, are themselves discursive and open for discussion.